After much twittering and anticipation, One Hyde Park in London's Knightsbridge area is finally ready for occupation. With prices starting at Pound 6.5m for a simple one-bedroom flat and soaring to Pound 140m for one of the four penthouses (at an average of about Pound 6,000 per sq ft), the structure of four interlinked diamondshaped pavilions is credited as the most expensive residential space in the world. Housing 86 apartments, the building also has a 21-m swimming pool, a golf simulator, a panic room, squash courts, a cinema, spa, wine cellars and two gyms. An underground tunnel (complete with a car lift) connects it to the Mandarin Oriental next door that gives residents open access to its facilities and allows its staff to serve the apartments 24 hours a day. Who wouldn't want to live here, you'd ask? The rumour is, not everybody. Though creators Candy & Candy (the duo at the helm of the property market in London) claim that 60 per cent of the flats have been snapped up by people from the Middle East, Africa, Russia, China and India, the market says only two flats have been sold so far-one to the Prime Minister of Qatar. Hedge fund gurus, global investors and celebrities were there at the launch. Let's wait and watch who leaves the building. A block of four of Hong Kong's most famous stamps was recently auctioned for $1.54 million. The 96-c stamps were created in 1864 and erroneously given an olive-bistre colour. The mistake was corrected in the next batch, so this lot stayed unique. It is believed that only about 40 unused examples of these stamps, including this block of four, still exist. The buyer chose to stay anonymous. The world of art went online with a vengeance for a week in January. The VIP (viewing in private) Art Fair was an online-only event where buyers from across the world could access 2,000 works and connect with over 130 dealers from 30 countries-without leaving home. Browsing was free, although visitors had to pay for access to price lists and the dealers' private rooms.The brainchild of New York art dealers James and Jane Cohan, the fair got a lot of bites with the artworks being viewed 7.65 million times by visitors from 196 countries. Post-event, though, it is under fire for not seeing too many big sales and some technical gliches. But Rome wasn't built in a week either, we say. The age-old theory of beauty and brains being inversely related has been put to the test-and disproved. Studies in the UK and the US have shown that good-looking men and women are likely to have IQs averaging up to 14 points above the norm. A researcher from the London School of Economics came up with the findings based on data from a British National Development Study which has followed (and tested) 17,419 people since their birth in a single week in March 1958. Here's the logic. If one believes that intelligent men do better in life and attract intelligent as well as good-looking partners, one should also realise that children born to such couples are more than likely to inherit both qualities. The American data was taken from a National Longitudinal Study of Adolescent Health that rated 35,000 young Americans on both brains and beauty. While the researchers say the findings are statistical and should not be applied to individuals, there's no denying the cloud of gloom that's descended on those less fortunate in the looks department. Meanwhile, Brad and Angelina can sit even prettier now. The Chicago foursome serve up lush garage rock that's high on memorable melodies and some great songwriting. The little known but highly influential Scottish post-Punk band comes out with a career retrospective. The iconic leather-clad hard rock band Motorhead serves up more loud, angry and theatrical rock on this album. This is a great set to headbang to. American Indie progrockers get back to their roots with short, catchy songs that are extremely infectious. 1. Art Dubai: This year Art Dubai will feature displays by more than 75 renowned and upcoming galleries from over 30 countries in the Middle East, Asia, Europe and America. Highlights of the fair will include a programme of performative tours, installations, film screenings, radio dispatches and an exhibition presented by Van Cleef & Arpels. Mark your calendars from March 16 to 19. 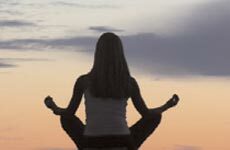 2. International Yoga Festival, Rishikesh: This seven-day programme offers participants over 100 hours of yoga classes by world-class teachers along with discussions with some of India's leading spiritual leaders. The event aims to raise over Rs 22.9 lakh for charity. From March 1 to 7, dedicate a week towards a cause. 3. ICC cricket World Cup: The Cricket World Cup championship this year is being hosted by three South Asian countries: India, Sri Lanka and Bangladesh. With 29 of the 49 matches, including the semis and the final, being played at venues within the country, it's the event of the year for cricket lovers across India. Keep abreast of the tourney culminating on April 2 in Mumbai. 4. Goa festival: Originally started by the Portuguese, this four-day-long festival is a time for unabashed decadence and fun. Join in the merrymaking especially if you love abundant dancing, music, processions and culinary delights. To be held from March 5 to 8. 5. Indian furniture & accessories show: Merging Indian craftsmanship and art with modern design and contemporary finishes, this event provides a platform for new talent, and exquisite designs. Head to Jodhpur from March 6 to 8. 6. LA fashion week: LA is all set to welcome the fall collection and dazzle with style. In addition to the regular ramp romps, many designers will showcase their ware in environments that reflect their vision for the collection. Get your fix from March 13 to 19. There are times when you don't want to be blasted by the lyrics of a love song, but rather enjoy it in the muted ambience it's meant for. Well, you can do both, and yet not miss out on any nuances with this product. Maintaining a record of audio excellence since 1936, Quad's reputation is unparalleled in the field of consumer electronics. Going against the norm of moving-coil loudspeakers, Quad has pushed the boundaries of electrostatic technology to produce a sound with the lowest possible distortion. Even at low volumes, these speakers retain all the detail and drama of music and can go on for hours without dying out. You know how at the end of romantic sagas, the lovers sail away into the sunset? Well, with the new Ocean Empire LSV superyacht, that dream could well become a reality for a justifiable $17 million. Designed to support life and stay out at sea for an indefinite period of time, this LSV (life support vessel) houses three sustainable energy sources ( 4,305 square feet of solar panels, an 861-sq-ft skysail to collect wind energy, and an MDR system to capture the energy generated by the boat) along with two hydroponic farms and fishing facilities for an endless supply of food. With the ability to travel up to 12,000 nautical miles a year in a 100 per cent carbon neutral state, it houses up to 18 persons including a crew of eight. So climb aboard your very own Noah's Arc, and sail away! Making a significant addition to India's legacy in art, the Kiran Nadar Museum of Art has opened at DLF South Court Mall in Delhi's Saket area. 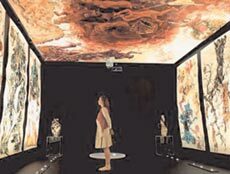 The museum, which houses the collection of Kiran and her technology baron husband Shiv Nadar, opened in time with the India Art Summit with an exhibition titled 'Time Unfolded'. The museum showcases 70 modern and contemporary masterpieces from the couple's private collection in an endeavour to facilitate visibility and appreciation of Indian art. The display includes Raza's Saurashtra, Tyeb Mehta's famous threepanel canvas Mahishasura, nudes by F. N. Souza, Bharti Kher's mammoth elephant, as well as works by M. F. Husain, Manjit Bawa, Ram Kumar, Subodh Gupta, V. S. Gaitonde and Anish Kapoor. Entry is free and the museum is open to the public from 10.30 a.m. to 6.30 p.m. on all days except Mondays and national holidays. 1. One of the first truly international dates, March 15 became famous as early as 44 BC when a group of Roman citizens, led by Marcus Brutus, stabbed Julius Caesar (22 times) to death in the Senate. 2. The ancient Romans were masters at making calenders, and the Ides (Latin Idus) was celebrated as an auspicious day in the months of March, May, July and October. 3. An organisation called the Roman Hash House Harriers celebrates the day every year with a Toga Run through the streets that Caesar walked before being killed. 4. This is an important date for Hungary. On this day, the country celebrates National Day in memory of the 1848 Hungarian Revolution, which grew into a war of independence from Habsburg rule. 5. George Washington quelled a military mutiny in 1783 on this day with his famous Newburgh Address. We've seen Rolls Royce churn out some of the sleekest, fastest and most technologically advanced mean machines; the ones that can alter a road just by their presence. The Rolls Royce Apparition isn't exactly one of those. As far as utility goes, it might not have any. 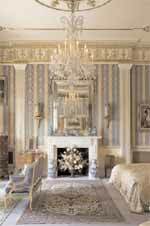 But when it comes to conceptual design, its vision and build ensure that we take notice. 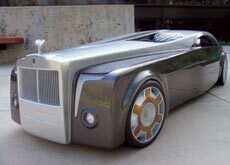 Purely a design study, the car is the creation of Jeremy Westerlund, who designed it while studying at the Art Center in California. The car marries classic and futuristic design elements, placing the driver out in the open like in vintage motor carriages, while the passengers sit shielded inside. Although it is currently nothing more than a design, the model in reality would stretch over 23 feet in length. Taking a cue from sailing yachts, the overall shape and structure of the vehicle is low, long and extremely imposing. But this might be no fond pipe dream. Technology has a funny way of blurring the lines between concept and reality, so keep checking the rear-view mirror!